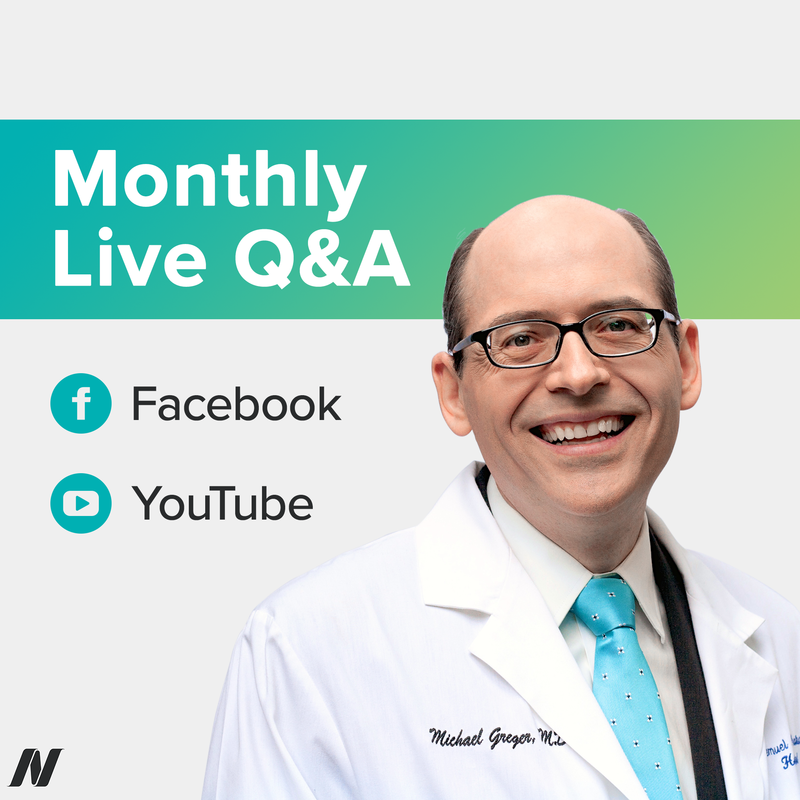 What’s happening is non-alcoholic fatty liver disease (NAFLD), the next global epidemic, as I discuss in my video How to Prevent Non-Alcoholic Fatty Liver Disease. Fatty deposits in the liver result in a disease spectrum from asymptomatic fat buildup to non-alcoholic steatohepatitis (NASH), which can lead to liver scarring and cirrhosis, and may result in liver cancer, liver failure, and death. It’s been characterized as a tale of fat and sugar, but evidently not all types of fat are culpable. Those with fatty hepatitis were found to have eaten more animal fat and cholesterol, and less plant fat, fiber, and antioxidants. This may explain why adherence to a Mediterranean-style diet, characterized by high consumption of foods such as fruits, vegetables, whole grains, and beans, is associated with less severe non-alcoholic fatty liver disease. It could also be related to the presence of specific phytonutrients, like the purple, red, and blue anthocyanin pigments found in berries, grapes, plums, red cabbage, red onions, and radicchio. These anthocyanin-rich foods may be promising for the prevention of fatty liver, but that’s mostly based on petri dish experiments. There was one clinical trial that found that drinking a purple sweet potato beverage seemed to successfully dampen liver inflammation. A more plant-based diet may also improve our microbiome, the good bacteria in our gut. “‘We are what we eat’ is the old adage but the modern version might be ‘we are what our bacteria eat.’” When we eat fat, we may facilitate the growth of bad bacteria, which can release inflammatory molecules that increase the leakiness of our gut and contribute to fatty liver disease. Fatty liver disease can also be caused by cholesterol overload. The thought is that dietary cholesterol found in eggs, meat, and dairy oxidizes and then upregulates liver X receptor alpha, which can upregulate something else called SREBP, which can increase the level of fat in the liver. Cholesterol crystals alone cause human white blood cells to spill out inflammatory compounds, just like uric acid crystals in gout. That’s what may be triggering the progression of fatty liver into serious hepatitis: “the accumulation of sufficient concentrations of free cholesterol within steatotic hepatocytes [fatty liver cells] to cause crystallization of the cholesterol.” This is one of several recent lines of evidence suggesting that dietary cholesterol plays an important role in the development of fatty hepatitis—that is, fatty liver inflammation. Like my video Preventing Gout Attacks with Diet, How to Prevent Non-Alcoholic Fatty Liver Disease covers an important topic worth the extensive coverage the video provides.